Despite all the expertise, nobody can exactly predict what the world wil look like in a decade. However, we are meant to be educating children to become active and innovative citizens in this unpredictable world. Technology is changing rapidly. The classroom environment has been upgraded over the last years, but the way we teach hasn’t changed much. By working in team, children learn to be flexible and self-directed. They also develop social skills which model 21st century learning and working. By combining creativity, critical thinking and teamwork with core skills, such as mathematics and language, complex topics become more tangible. An upcoming movement that emphasises the importance of creative learning is STEAM. It is an applied integrated approach to science, technology, engineering, arts and mathematics. Although arts may seem misplaced in this acronym, it plays a fundamental role. Arts can make STEM education more accessible for teachers and children. 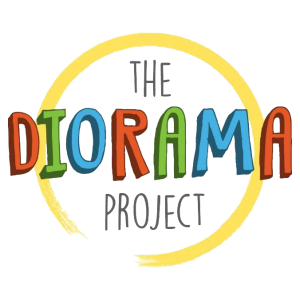 The Diorama Project is a series of workshops for children from 9 to 12 years old. Each project starts with a building kit and an idea for a story. First, children team up to write the script of their mini-theatre. They record the dialogues and tinker the stages. Next, they learn to program electronic modules to let the mini-theatre revolve, play sound and emit light. 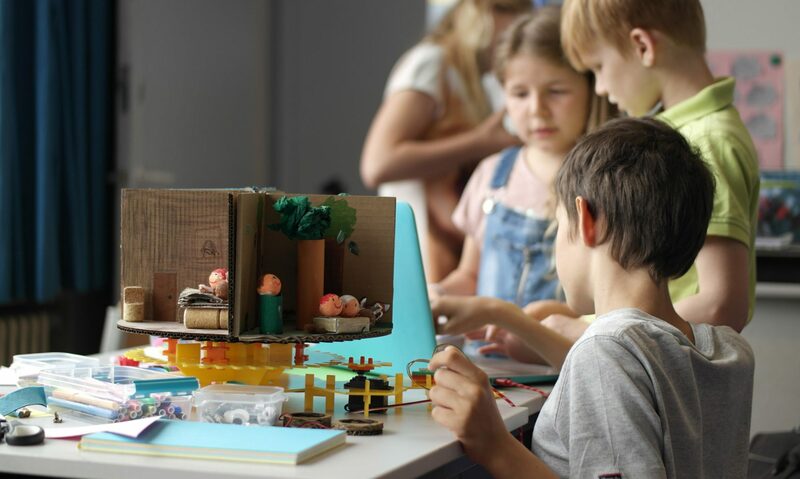 This multidisciplinary project brings children into contact with the digital society in a creative and tangible way.